The risks of dying from colon, breast, prostate and—for men—lung cancer were all lower among regular aspirin users, compared to non-users, the findings showed. The U.S. Preventive Services Task Force (USPSTF) already recommends that certain older adults consider taking low-dose aspirin to curb their risk of colon cancer—as well as heart disease. Another issue is that no one knows how much aspirin is needed to see a benefit—or how long it takes to kick in, said Dr. Robin Mendelsohn. More information: Yin Cao, Sc.D., M.P.H., instructor, medicine, Massachusetts General Hospital, Harvard Medical School, Boston; Ernest Hawk, M.D., M.P.H., vice-president and division head, Cancer Prevention and Population Sciences, University of Texas M.D. Anderson Cancer Center, Houston; Robin Mendelsohn, M.D., gastroenterologist, Memorial Sloan Kettering Cancer Center, New York City; April 3, 2017, presentation, American Association for Cancer Research annual meeting, Washington, D.C. 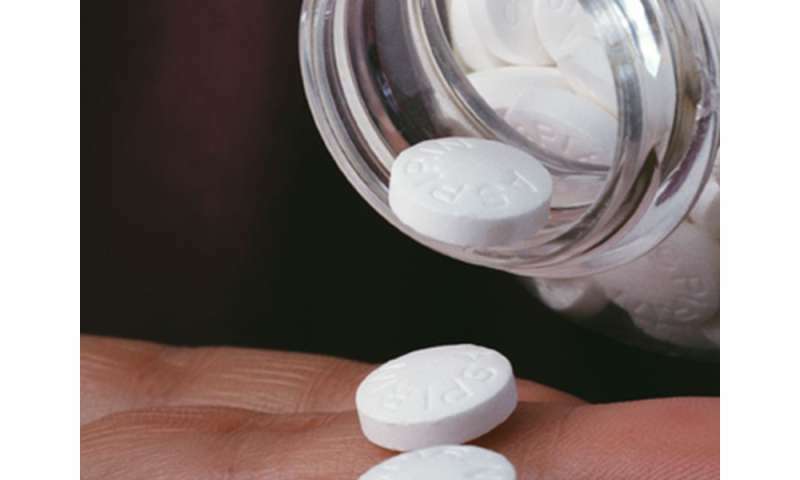 The U.S. National Cancer Institute has an overview on aspirin and cancer risk.